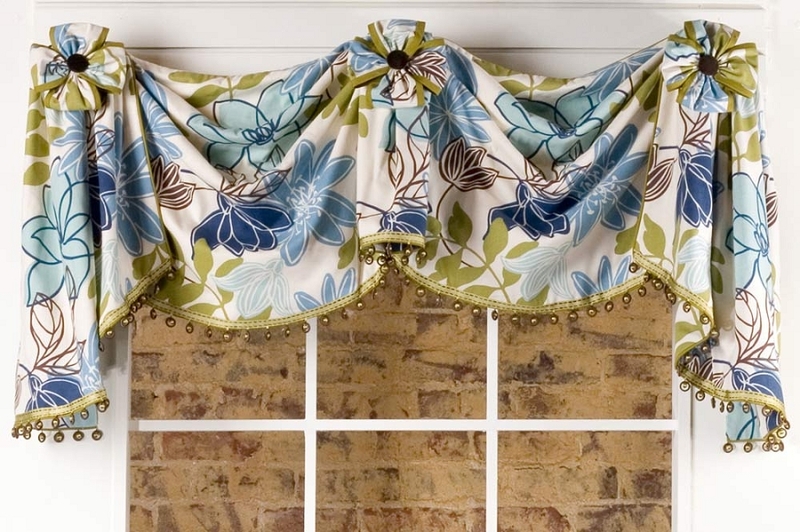 This unique valance is a casual take on a formal style and can be adapted to fit any size window by adding additional swag sections. The pattern includes instructions for applying a bias band out of contrasting fabric. Be sure to purchase our bias tape maker and Steam-A-Seam2 for easy band application. Fringe can be added to the bottom of the swags and jabots. 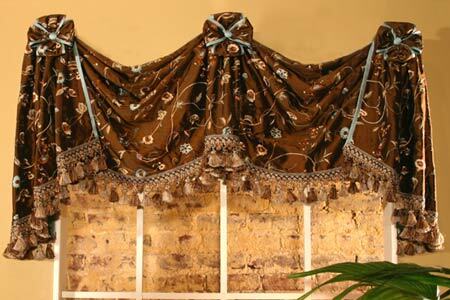 Instructions are included for hanging this valance on hidden brackets or on a wooden pole. Q: What width window is this pattern for? 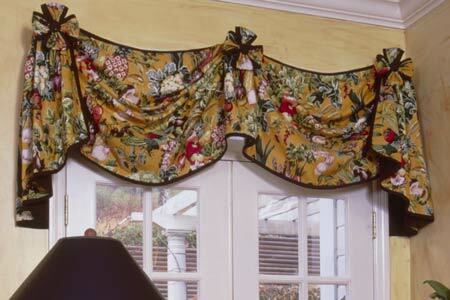 Q: How much fabric & trim does it take to make the window treatment? Q: How many pieces are there to the pattern?